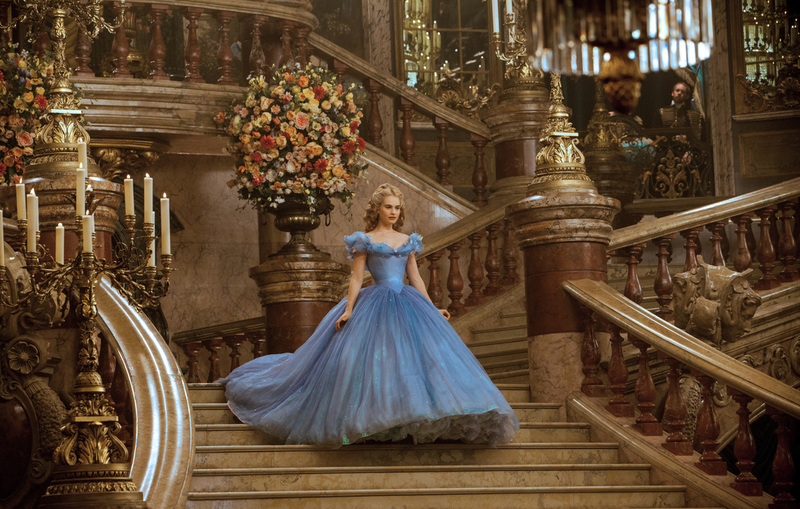 This article is a review of CINDERELLA. Cate Blanchett in bad performance shock. One never thought those words would leave my keyboard. Would it surprise anyone if Blanchett was eventually spoken about in the same breath as Katherine Hepburn (whom she played in THE AVIATOR) or Meryl Streep? 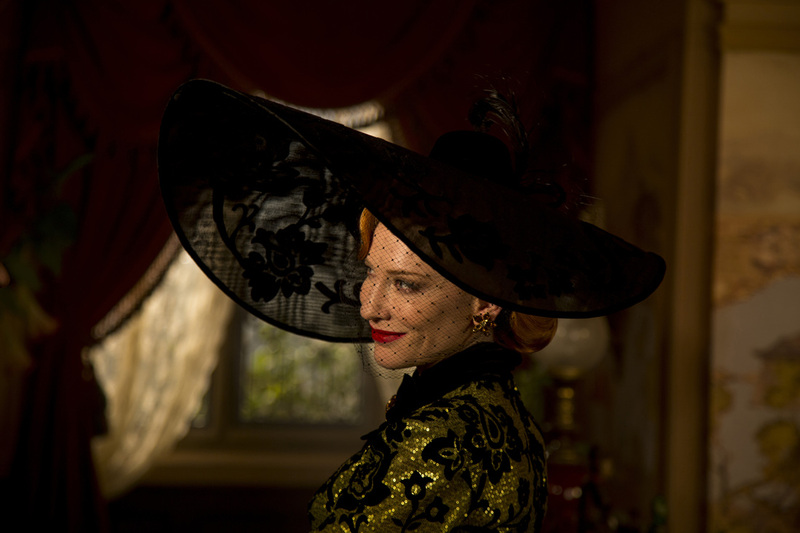 While the latter added her own original spin to a Disney baddie in the recent INTO THE WOODS, Cate has sputtered, churning out a cringey, off-key performance as the evil stepmother. 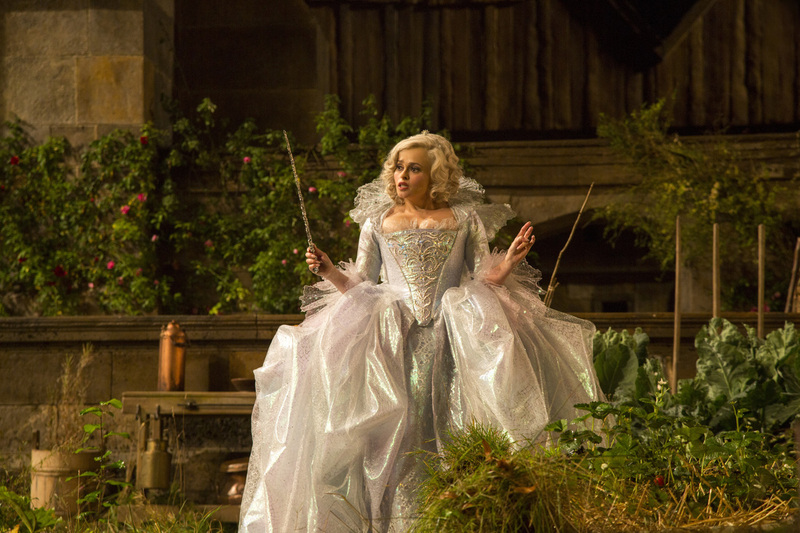 Such a rare misstep cannot entirely be blamed on Ms Blanchett. 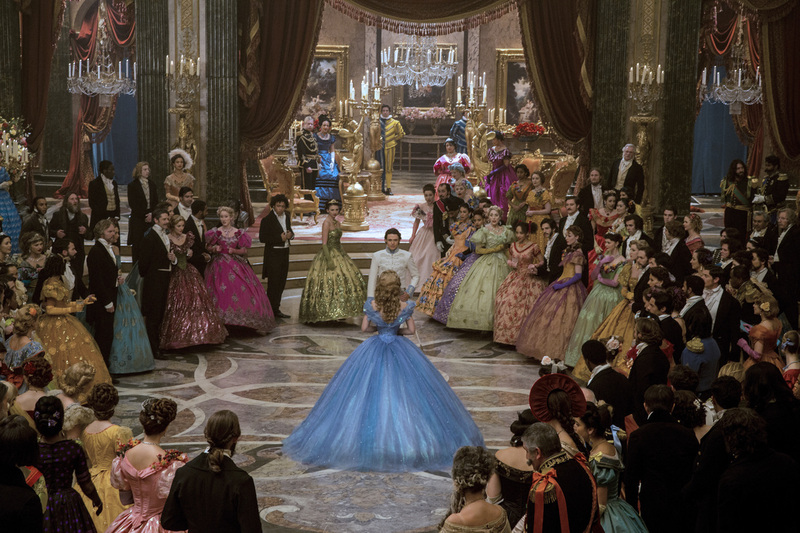 Writer Chris Weitz (who ballsed up Philip Pullman’s HIS DARK MATERIALS) and director Kenneth Branagh offer an uninspired slog, alternating between the wooden and the excruciatingly hammy. Only the youngest of children are likely to unearth any kind of magic. Humour is so sparse that Rob Brydon as a cheeky painter pratfalling is to be relied upon. Everything is dialled to the max, as if playing to the rafters in the theatre. Expressions are big and cheesy and heavily signposted; dialogue expounded breathlessly (rather than passionately), as if just after having run a race the actors are forced onto the set to exclaim. 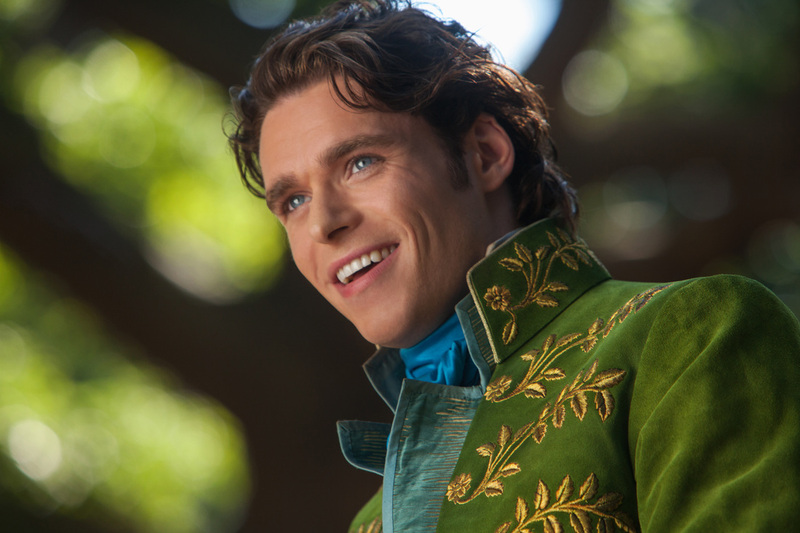 CINDERELLA (2015) is a nuance vacuum. Tweaks to the legend are half-baked at best, brainless at worst. 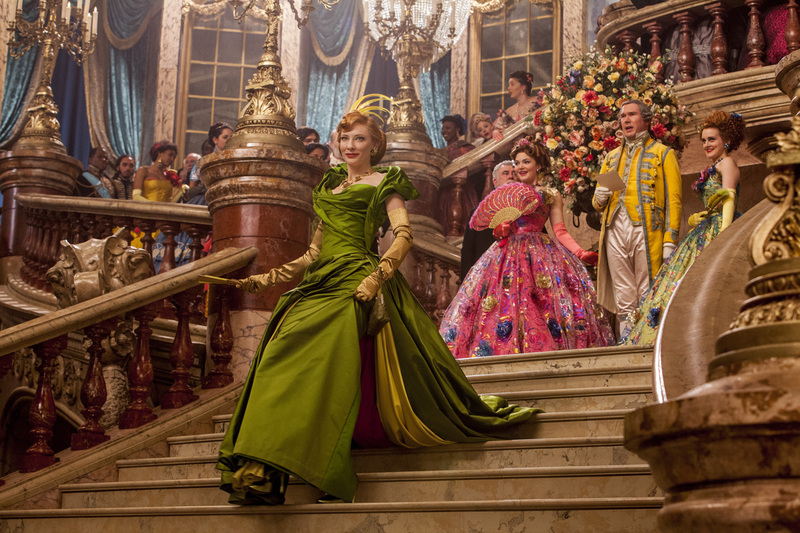 Lady Tremaine (Blanchett) conspires with the Grand Duke (Stellan Skarsgård) to have Prince Charming (Richard Madden – one of the few getting it right on screen) to marry someone other than Cinderella (Lily James). 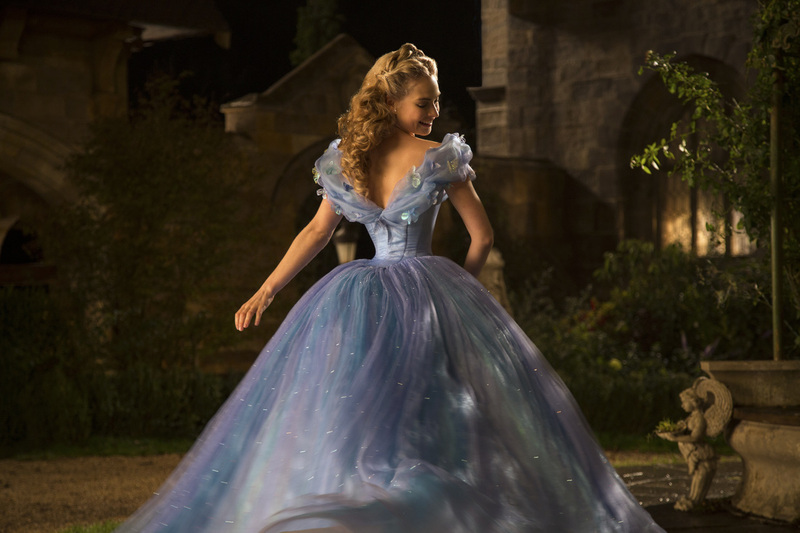 Actually her name is Ella, and is given the nickname “Cinderella”, by stepsister Anastasia (Holliday Grainger), because she has cinder soot on her face. For no logical reason, Ella embraces that moniker. She refuses to leave her life as a drudge, because it is her deceased parents’ home, yet she will abandon the name they gave her?! Desperately chucking in a surfeit of thespians (Bonham Carter, Derek Jacobi, Ben Chaplin, etc. ), who fail to enliven the dire material, is a sure sign of a movie dead on arrival.